Being a “northerner” I have had many a pang of envy for those of you who dwell in the southern portions of the United States; a longer growing season means you get your hands dirty in the great outdoors for a much lengthier period of time. Also, you can grow vegetables in southern regions that those of us in cooler climates can only dream about. The primary benefit of growing veggies in hot climates is, of course, the extended, sometimes year long, growing season. Southern vegetable gardening requires warm soil and air temps, not too hard to come by, for germination, growth and yield. 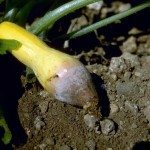 Of course, many of these heat loving vegetables will not tolerate frost and can be damaged or even die when temps remain at 45 F. (7 C.) or lower, which can happen even in the southern states. Vegetables in southern regions with warmer year-round temperatures tend to be deep rooted and fairly drought tolerant, although consistent irrigation will increase yields. Fertilization with a high nitrogen food is generally not necessary. Most of the crops suited to hot weather conditions are grown for their fruit or seed and, hence, do not require huge amounts. In fact, too much nitrogen can affect fruiting or delay it. So, other than the quintessential Southern tomato grower, what are other good hot weather vegetables? Actually, tomatoes (along with beans, cucumbers and squash) need warm, but not too warm (70-80 F./21-26 C.) temperatures for optimal production. Soaring temperatures reduce the number of blossom set, thus the amount of fruit produced. These veggies are best planted in the spring for an early summer harvest and again in the fall for an additional harvest. Once they have matured and are harvested, replant the garden with produce more suited to soaring temps. Eggplants, related to tomatoes, conversely love the summer heat. Large fruited varieties such as Blackbell Classic, Midnight and Florida Hi Bush are particularly adapted to summer’s hot days. Native to tropical Africa, okra is the perfect growing candidate for extreme temps. It can be directly sowed into the garden. Some good varieties to try are Clemson Spineless, Cajun Delight, Emerald, and Burgundy. Be sure not to plant too close together; allow 12 inches between plants. Although bell peppers balk at high temps, hot peppers and other sweet peppers such as Sweet Banana, Gypsy, and Pimento thrive in the heat. Eggplant, okra and peppers require warm soil to germinate, about 70 F. (21 C.). Depending on which area of the south you are in, you may be able to grow snap beans and limas; however, they are less tolerant of prolonged heat. 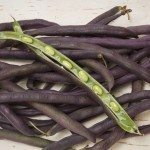 A better bet may be black-eyed peas, cream peas, purple hulls, or crowders to sate your legume appetite. Other legumes you can try include yard-long beans, winged beans, and soybeans. When selecting seeds for areas where summer temps become very hot, be sure to look for heat tolerant and drought tolerant varieties. Humidity is also a factor in these regions and leads to fungal diseases, so look for seeds with fungal disease resistance.